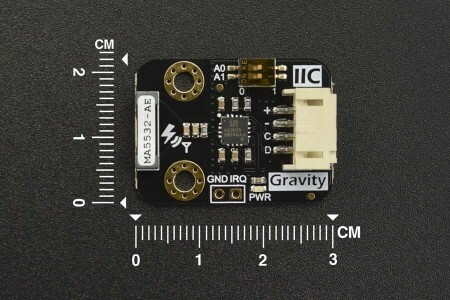 Gravity: Lightning Sensor employs AMS innovative AS3935 Franklin lightning sensor IC and Coilcraft MA5532-AE dedicated antenna to detect lightning distance, intensity, and frequency within a radius of 40km both indoors or outdoors. The embedded man-made disturber rejection algorithm can effectively avoid the electrical interference generated by various household appliances. 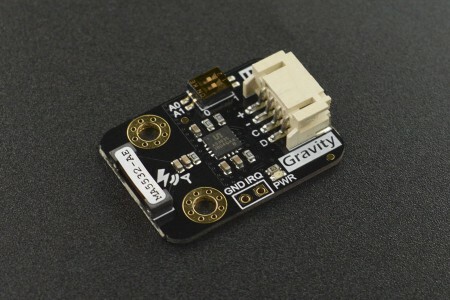 In addition to allowing general weather enthusiasts to measure local thunderstorm data simply and efficiently, thanks to its compact size and wide detection range, it can also be embedded in various smart wearable devices for outdoor climber or people who work at heights. This provides early warning of thunderstorms that people can perceive, so that people can take precautions a step ahead. The sensor can also be embedded in the indoor protection device inside lightning-sensitive equipment, and automatically trigger these devices to switch to the backup power to isolate the power grid when lightning strikes. At the moment of lightning, the interrupt pin IRQ generates a pulse. This can be used to trigger the shutter to open, helping photographers to accurately capture the exciting moment of lightning.